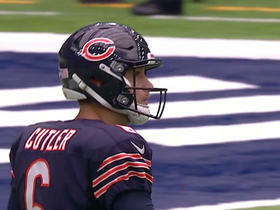 White caught one pass for six yards in the Bears' Week 8 victory over the Jets. 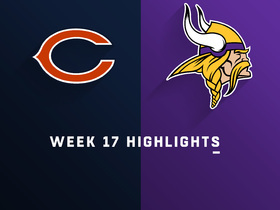 Analysis: With Allen Robinson missing the game with a groin injury, Josh Bellamy saw five targets, while White was targeted three times as the duo alternated playing time. 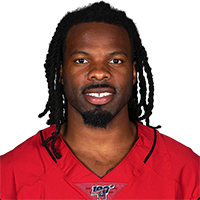 Although he's seeing more field time than he had over the first five games of the season, White has yet to emerge as a fantasy option. 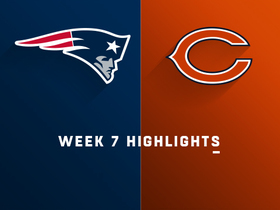 White caught two passes for 64 yards in the Bears' loss to the Patriots. Analysis: White saw increased field time during the second half when Allen Robinson was on the sidelines. 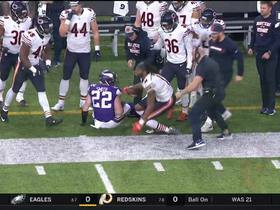 On the final play of the game, he caught a 54-yard Hail Mary bomb from Mitch Trubisky, only to be tackled on the one-yard line as time expired. Should Robinson be forced to miss time with injury, it appears as if White would begin to see some playing time, but until he shows the ability to produce consistently, it'll be difficult to trust him on fantasy rosters. White failed to see a target in Sunday's loss to the Dolphins. Analysis: White has yet to see a single target in 2018, and it seems very unlikely he'll emerge as a fantasy option unless the Bears suffer multiple injuries at wide receiver. White played just 12 snaps without seeing a target in Sunday's 24-23 loss to the Packers. Analysis: White is merely a reserve at this stage of his career, and unless the Bears suffer injuries at the wide receiver position, it's unlikely he'll see enough targets to be much of a fantasy factor. White caught both of his targets for 33 yards and a touchdown during Saturday's 27-20 preseason win over the Chiefs. Bears head coach Matt Nagy stated that he needs to see what White "can do" in the preseason, Larry Mayer of the Bears' official site reports. "Can this guy help us out when it matters most?" Nagy added. Analysis: White has seen 74 offensive snaps during the preseason, but other than catching two short passes, he's yet to show that he's a threat that can push his way into the rotation at receiver. He didn't have a great showing in the team's third preseason game against the Broncos, recording two receptions for 15 yards on four targets. For a player that doesn't figure to contribute on special teams, he could find himself on the outside looking in regarding the regular-season roster. White was targeted twice, but failed to record a reception in Thursday's loss to the Bengals. 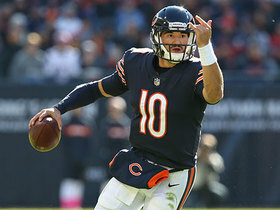 Analysis: White was targeted on a deep pass on the the first play of the game, but Mitchell Trubisky overthrew the pass. 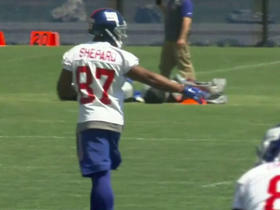 However, the receiver dropped a very catchable ball the next time it came his way. Aside from his injury-marred career, drops have been another issue for White, and this performance certainly doesn't help a player who could be on the roster bubble. Even if he makes the team, it appears he could have a long road toward becoming a productive fantasy option. 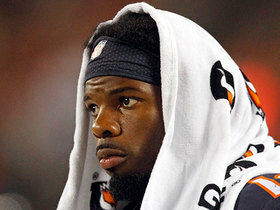 White won't have his fifth-year option exercised by the Bears, Mike Garafolo of NFL Network reports. The Bears added three receivers this offseason, including Anthony Miller in this weekend's draft, which puts White's 2018 role in question, Patrick Finley of the Chicago Sun-Times reports. 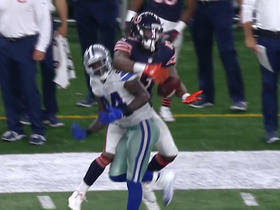 Analysis: Even though White (shoulder) looked sharp while playing fast in offseason workouts, after the Bears traded up in the second round to draft Memphis wideout Miller, White appears to be, at best, the fourth option at wide receiver going into the offseason. As a result, he'll likely need to prove himself during training camp to earn a significant role with the team. 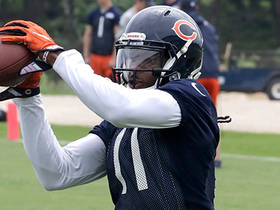 White has not only looked sharp and been playing fast during offseason workouts, according to the Bears' official website. Analysis: Although White is looking good at this stage of the offseason, expectations have to be considered low for someone who's played just five games in three seasons while catching just 21 passes for 193 yards. Aside from being an endgame pick in fantasy drafts for those who like to gamble on potential, he'll likely go undrafted in most leagues. Bears coach Matt Nagy said he's excited to put White (shoulder) in the best possible situation to succeed, Brad Biggs of The Chicago Tribune reports. 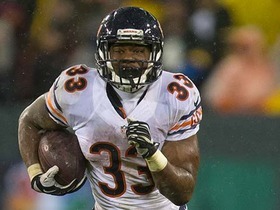 White (shoulder) is expected to get another chance with the Bears, Adam Jahns of the Chicago Sun-Times reports. "Kevin is a guy you see who hasn't had a lot of games these past few years," Bears coach Matt Nagy said. "We understand that, but for me, that's the challenge as a head coach." White (shoulder) won't be activated from injured reserve this season after the Bears declined to name him one of their two players designated to return, Brad Biggs of the Chicago Tribune reports.